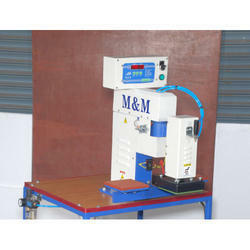 We are reputed Manufacturer & Exporter for of Fusing Machine for various garment industries. The clothing looks more flatly, firmly and not any corrugation appeared if it be worked by this machine. 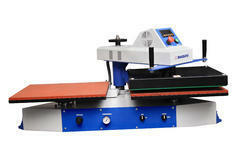 Heavy Duty production T shirt machine. PN01 Adopted pneumatic wobble style, labor and time saving, convenient for operation The temperature and time are wholly controlled by electronic, it set with automatic and manual device, the process can return to original status after completed. The pneumatic pressure can be adjusted accurately, which makes the hot stamping effect perfect.